Buona notte - Like Mary in Cana: what is missing? Like Bl. 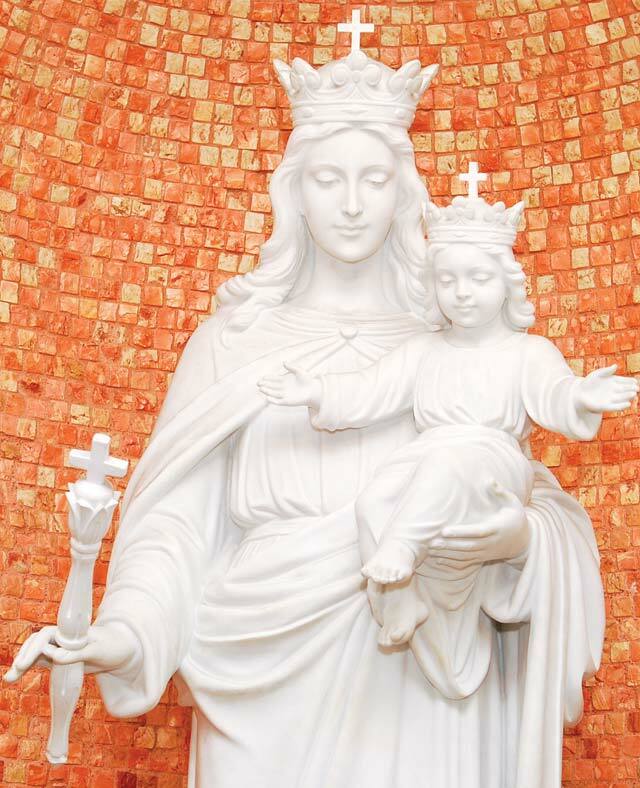 Philip Rinaldi: Concrete items under statue of Mary! Receive a heartfelt May greetings from the community of Venilale - small Valdocco in Timor Leste, on the first day of May, the month of Mary, our Mother and Mother of Jesus! This is a family like little town with one SDB community of Blessed Philip Rinaldi and two FMA communities: one large mountain parish with 16 chapels, many schools, one orphanage, one pre-Aspirantate (SDB, junior high school, 170 boys) and one Aspirantate (FMA). Since last January 31, I’m moving around the Vice-province ITM of St. Callistus Caravario during last few months of its life and give thanks for all the miracles of Don Bosco in these two countries. And I’m again and again deeply touched by the deep and strong Marian faith in each of our Salesian presences. Especially hundreds of ADMA (Association of Devotees of Mary Help of Christians) members with their committed life witness, deep devotion and organized apostolate contribute a lot to the building of Christian community and Salesian Family! First is Mother Mary with her caring motherly heart, deeply interested in the small concrete needs of Her Son family – the ecclesial community. Like in Cana she was able to discover the things missing at the wedding: Let’s ask of the gift of deep attention to the needs of the young around us. First step on this way is our wholehearted listening to each individual young person! Let’s make this month of May truly a special time of listening to the needs of young people around us! Let’s bring their needs to Jesus: ‘There is no wine.’ And Jesus will answer like at the wedding in Cana! I wish you a fruitful month of Mary – May 2018!